Tippy is a tipping platform built specifically for the beauty industry. We reduce processing fees for salon owners and increase tips for service professionals. Tips are directly deposited into the service professionals bank account the next business day. Oink! 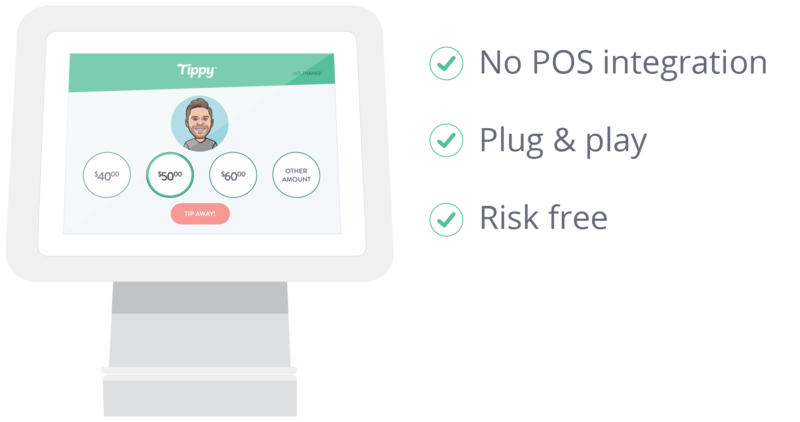 Tippy is a simple, plug & play solution, that brings back the joyful, human aspect of tipping. It helps some people say, “thank you,” and helps others make a lot more money! Tippy’s charm is no surprise: with consistent encouragement and insights, Tippy empowers service professionals to achieve their goals. 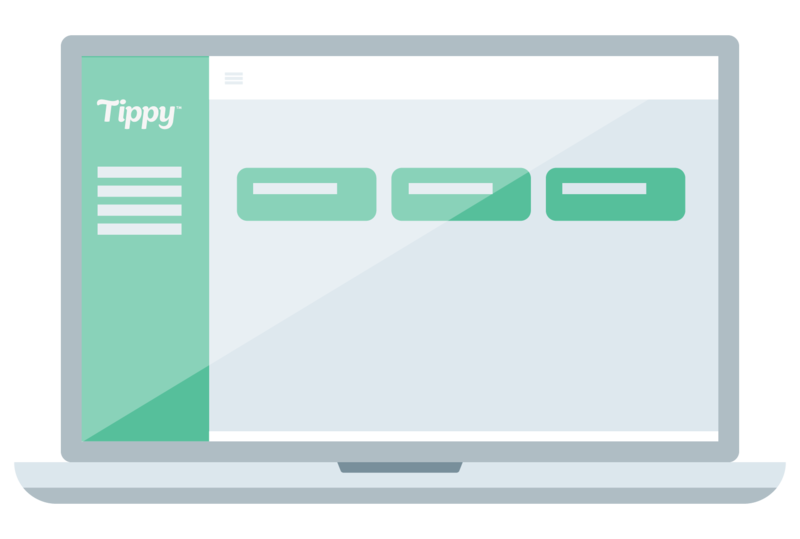 With Tippy's Dashboard, business owners can invite and manage staff, customize tip reporting, track & motivate service professionals. 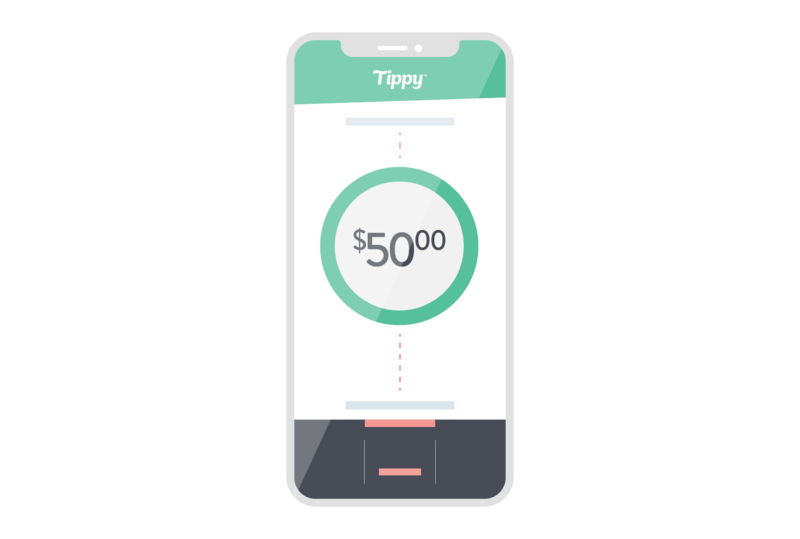 Tippy Pro's forward facing app allows customers to personally say “thank you” with a fun and easy to use tipping experience! With the Tippy Mobile App, service professionals can track tips, set financial goals, watch tips grow throughout the day, and get their tips deposited into their bank account the next business day. Why do I want Tippy? Reduce processing fees, improve customer & stylist satisfaction, and enjoy daily motivations from your newly found friend, Tippy. 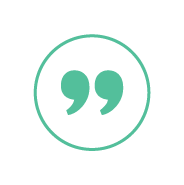 By using our stand-alone system, customers are able to directly tip their stylists. Tippy removes the salon owner from acting as a banker. Stylists link their bank accounts to the platform and are able to receive tips, direct deposited the next day. Does it matter what POS my salon has? Nope. Tippy is POS agnostic and is simple to install. It does not connect to the POS, so if you don’t like it, simply put it in a box, call us and a flying pig will pick it up. What do I need to start Tippy? Simple! 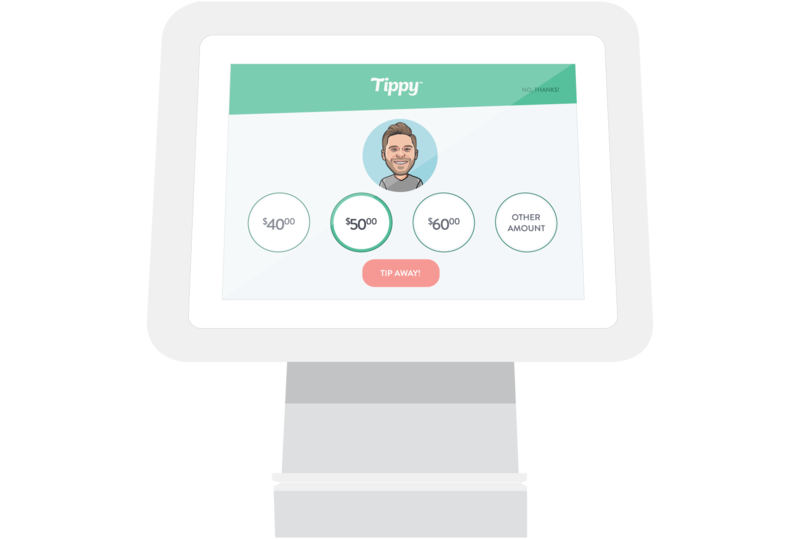 Sign Up, while your Tippy Kiosk is on the way, you’ll set up your admin account and invite your staff to download the Free Tippy Mobile App. Once Tippy lands in your location(s) you’ll be ready to rock & roll! The bad news is yes. As helpful as our platform is, you will still need to pay taxes. The good news is in our beta tests, tips increased an average of 30%! Woo hoo! The salon pays an annual subscription fee but receives a FREE Tippy Kiosk which includes the software, updates and ongoing support! Still much less than the processing fees it’s saving! The customer pays a convenience fee, and the service professional receives the tip which is deposited into their personal bank account the next business day! The Tippy Mobile App is FREE to download and includes features like tracking, goal setting and MORE! Should I believe in flying pigs? My clients think it's so fun! And it tracks how much $$$ I made in the year. Tippy is awesome the tips are definitely larger and cover any fees the stylist incurs. And set up is so easy you think you've done something wrong. I like how easy it is to add cash tips so I can track all of my tips in one App to see what I'm making per month in tips. When my salon first brought Tippy in, I wasn't exactly thrilled. All I can say is Boy was I wrong! I'm so much more aware of my tips now. Before, I always had a pocket full of cash that I never really counted or tracked. With Tippy, I can see exactly what I got and how much I made per week. I love it! I always worried that the little tip envelope with the tip money would disappear or just never make its way to the stylist. With the Tippy App, I don't have to worry at all. My favorite thing about Tippy is that it helps clients with their math. A lot of people would just give $ not knowing what % of their service it was. Also being able to keep track of my tips is great. I never could keep up with tracking on my own before Tippy! Tax time was so much easier this year. I never really knew what do do about my tips in the past. Now, all I have to do is hit one little button and BOOM...tip report emailed! Interested in Tippy? Shoot us a message.